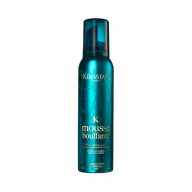 Protect your hair from the elements with the Kerastase Aqua Seal 125ml . 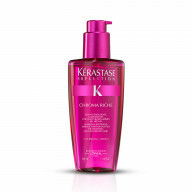 Working to defend against water and solar damage, this unique fluid-cream was developed by Kerastase experts to deliver exceptional protection for healthy and glossy locks. Working to waterproof your hair and balance hydration, your hair is protected from environmental damage with solar protection. 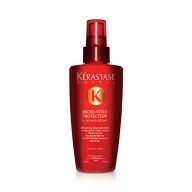 Hair feels strong and healthy and you're ready to face what ever is thrown at you, with glossy hair to be proud of. 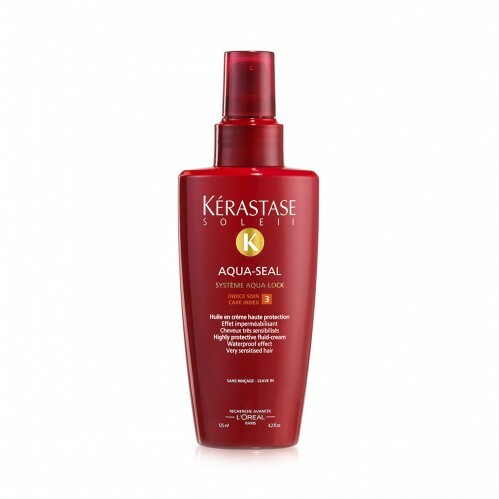 Featuring a Silicone derivative that makes for waterproofing effect, hair is protected from the outside in. 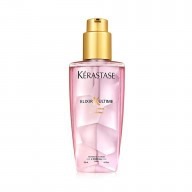 Alongside this Ceramide reconstitutes intercellular cement, which will reinforce the hair cuticle. An added UV filter works to reduce the effect of photo-degradation on the and Pro Vitamin B5 is added to improve water retention for soft and glossy hair. Use 1-2 hazelnut size pumps in the hair by applying to the lengths. 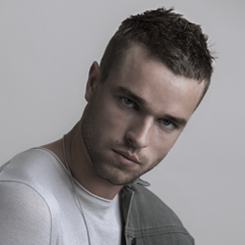 Do not rinse out, dry and style as normal.